With the continued aging of Baby Boomers and advances in treatment technology, healthcare continues to be a flourishing industry. In fact, experts predict healthcare job growth will reach 5.6 million jobs in the next five years. As industry growth continues, healthcare marketing will follow a similar increase. A recent eMarketing report shows that healthcare continues to rank above other industries in advertising spending. With all that advertising, what messages are healthcare marketers putting in front of patients, and how are those messages resonating with them? The answer is surprisingly bleak. According to a recent report issued by Geile/Leon, the key messages in many healthcare organization’s marketing strategies aren’t focusing on the information patients are actually seeking. What do consumers want to know about the healthcare options available to them? One of the biggest areas of disconnect that patients want to know (in a timely manner), is if their insurance is accepted at the facility. This makes costs and financial implications of treatment a primary concern. Beyond financial information, patients also want to know that their care providers are efficient, knowledgeable and effective at communicating details about their care. In addition, the Geile/Leon research shows that consumers want to know that the facility offers specialization in the areas of care important to that consumer. If a person is seeking care for cardiac treatment, for example, they want to feel confident that the facility excels in the treatment of that area of specialty. What is healthcare marketing actually telling patients? Many, if not most, healthcare organizations prominently display and promote national rankings of their facilities in their marketing efforts. Research shows that those rankings aren’t resonating with patients as a top concern. 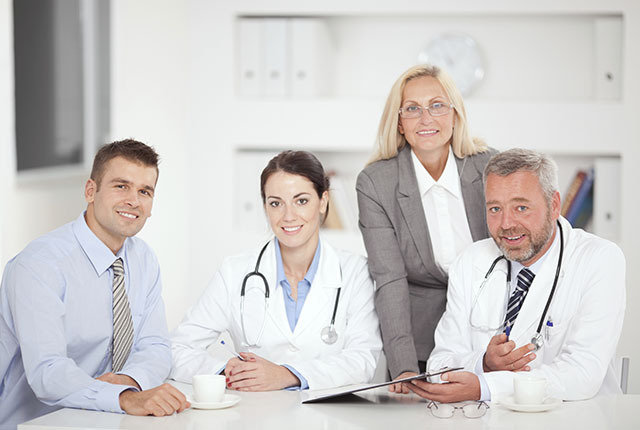 Here’s where we see the disconnect between healthcare organizations and the individuals that they serve. The typical brand messages highlighted in these healthcare marketing campaigns don’t necessarily align with what these consumers want. Again, consumers want reassurance that they’ll be treated by top physicians with keen communication skills in a facility that will honor their insurance. Making the message more about the patient’s care, and less about the accolades of the organization, seems to resonate more profoundly with consumers. How can healthcare marketing bridge that gap? Instead of focusing on the messages that an institution’s board of directors or leadership team deems most important, do research with your constituent group to determine what your consumers want to know about the organization, and build a marketing strategy around that research. As the Geile/Leon study shows, many organizations shine their marketing flashlights inward on themselves. Instead, try pushing that focus out onto patients and their needs, developing a brand that’s focused on specific areas of specialty, physician experience and effective communication between providers and patients. Healthcare marketing should focus on powerful messages that address patients and their needs, rather than the organization and its perceived strengths. Visit Red Crow Marketing for more information on our expertise in marketing and branding for healthcare organizations.